A guest blog by Geoff Cockwill at video production company Silvertip Films. Clocking up the number of views on YouTube is no longer enough to make videos successful. In just the same way as you want to encourage visitors to your website to click through to more pages rather than leaving the minute they arrive at your landing page, the same is true for video. Clicking on a video and watching for the first couple of seconds only just doesn’t count. Watch time and audience retention are what will actually determine the success of your video on YouTube. The more your video engages with an audience – which then potentially leads on to watching other videos – the more your video will be considered popular. Its rank will improve and your video will get greater exposure in searches, as well as being featured as a suggested video to watch at the end of others. As with all other social media platforms competition for attention is fierce. It’s estimated that some 300 hours of video content is uploaded to YouTube every minute, so your video has to work hard to engage viewers and be sufficiently compelling to watch it right to the end. The algorithm that sits behind YouTube’s suggested videos is very much based on levels of retention and engagement – it’s sophisticated and intelligent and can only be a good thing that enjoyable content is promoted. So how can you make sure your video will be watched? First of all, think about your thumbnail. Gone are the days when you had to choose from the thumbnails YouTube randomly offered, now you can upload your own thumbnail and so select something that will make your video looking as interesting as possible. Next, you need to ensure your content will deliver. No matter how important/interesting/relevant your verbal message may be, video needs to be visually engaging and stimulating. Static shots will leave your viewers cold and pressing the Stop button. And don’t forget that, in our fast-moving world, attention spans seem to be getting shorter and shorter – you have to find ways of keeping your viewers hooked and wanting to find out more. YouTube also wants to encourage viewers to spend more time on the site itself. If you haven’t yet tried using features such as adding annotations, now is the time to have a go. It’s a good way of directing traffic to YouTube and works for both you and the platform. For instance, you might send out a newsletter or create a Facebook post that features a short clip of your latest video. 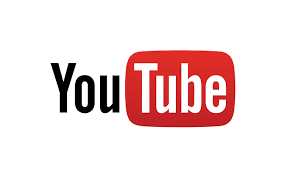 Add an annotation that links to the full version on YouTube – it helps them navigate to it without searching and it directs traffic to the platform, a win-win situation. 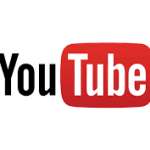 And don’t forget to use YouTube’s analytics tool to assess how your videos are performing. You can check the average viewing time, when your audience has lost interest, which moments are watched several times and so on. It’s all very useful information that can be used to hone and improve your next video.